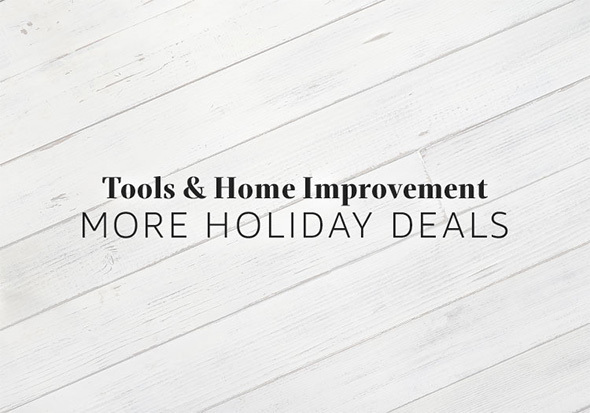 ToolGuyd > DealGuyd > Early Black Friday Tool Deals at Amazon! Whoa. Amazon kicked off a ton of early Black Friday tool deals, some of which might rival good deals that retail stores will be offering. I already talked about some of the best ones in individual posts, here’s a look at the rest. Forgive me for being so blunt, but these deals are better than I had expected. Some are even really good deals. Since it’s so late, I’m going to be short with words, and I hope you can understand. Besides, most of the deals speak for themselves. These are good general purpose drill bits, and the price looks good. I’ll probably order a set myself, as a “refill” set to my larger 60pc set. While not the biggest deal, new DIYers or homeowners might appreciate the versatility the 7 pliers and 1 adjustable wrench offers. You’re not going to get a lot of features in this 1500W heat gun, but it’s a $30 tool on sale for $20. It should be good for general tasks, and seems to have a lot of very positive reviews. If you need a no-frills heat gun, go for it. 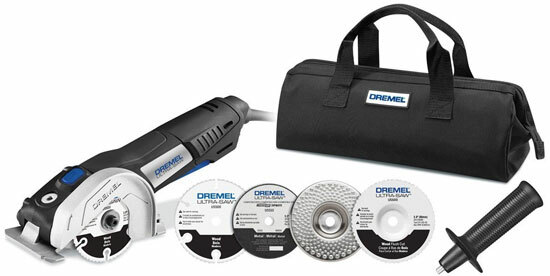 This is a very good price on well-equipped Dremel 4000-series rotary tool set. 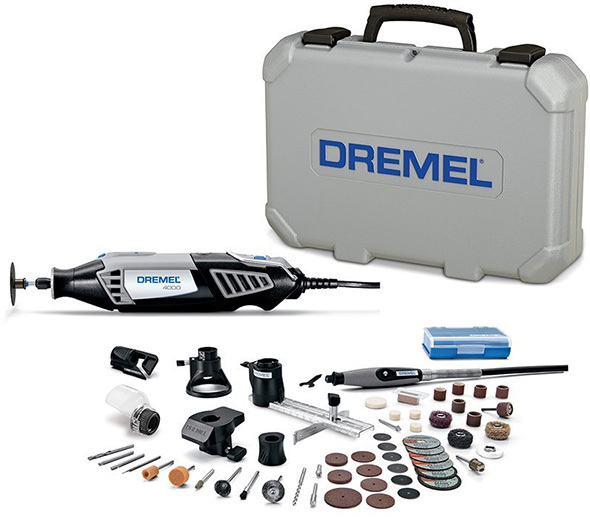 This is a good deal on an even better equipped 4000-series Dremel rotary tool set. You get more attachments, more accessories, and perhaps most notably, a flex-shaft. 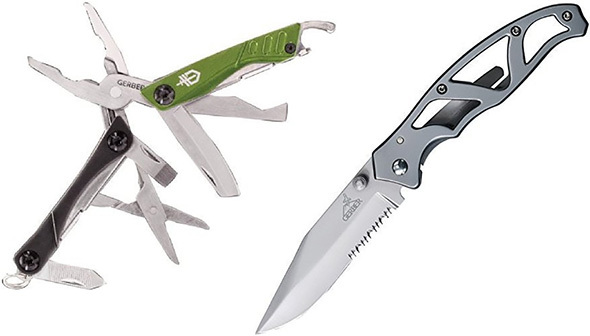 A mini multi-tool and small knife, for $20. I used to have one of these knives, and it served me well. Then I tried the larger version, and didn’t like it. 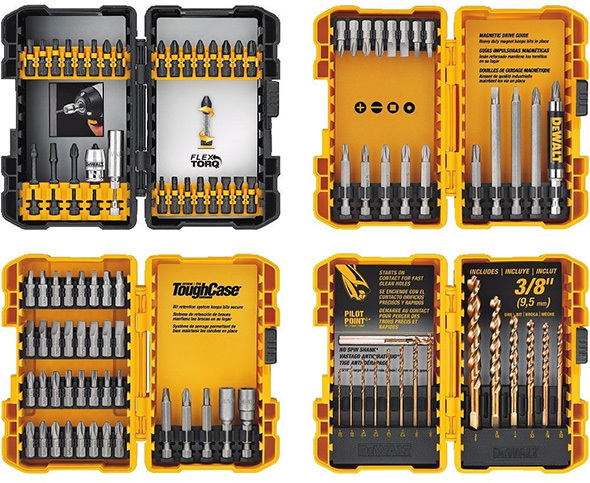 This Dewalt 100pc screwdriver and drill bit set gives you a decent sampling of Dewalt accessories, with the focus on 1″ insert bits. It’s not a very exciting set, but it looks like you get your money’s worth. 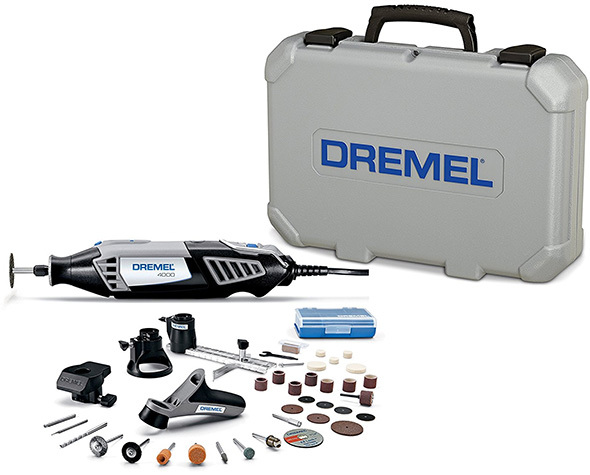 The Dremel Ultra-Saw cuts all kinds of materials. It’s a good DIYer or hobbyist tool, and the price seems reasonable. 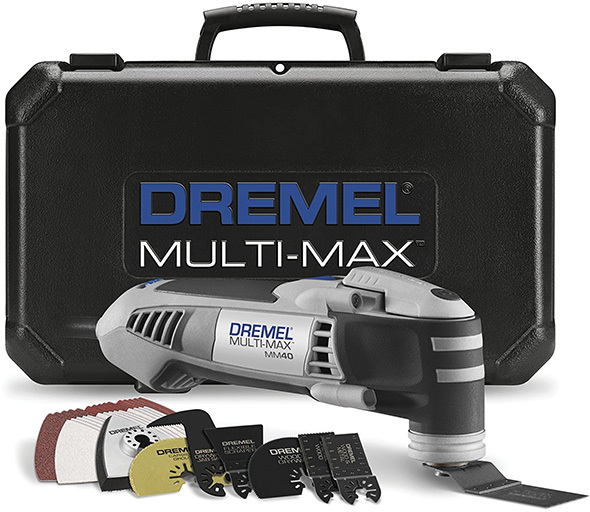 I haven’t used or tested a Dremel Multi-Max oscillating multi-tool in quite some time. But when I did, they worked well, giving me no reason to complain. This kit gives you the MM-40 tool, 6 blades, a sanding pad, and lots of abrasives to make up the rest of the 36-count accessory bundle. This wouldn’t be my oscillating tool of choice, but the deal looks good. Buy Dewalt’s excellent hybrid corded/cordless HEPA-rated vac and a 4.0Ah battery pack with a ~$63 discount. Sounds good to me. This is a great vac, by the way – here’s the review. If you don’t need the battery, Home Depot has a better price on the vac by itself. Here’s a strange pairing – Dewalt’s holiday season brushed drill kit, and a premium circular saw. I don’t know how I feel about this. This kit’s a little different. 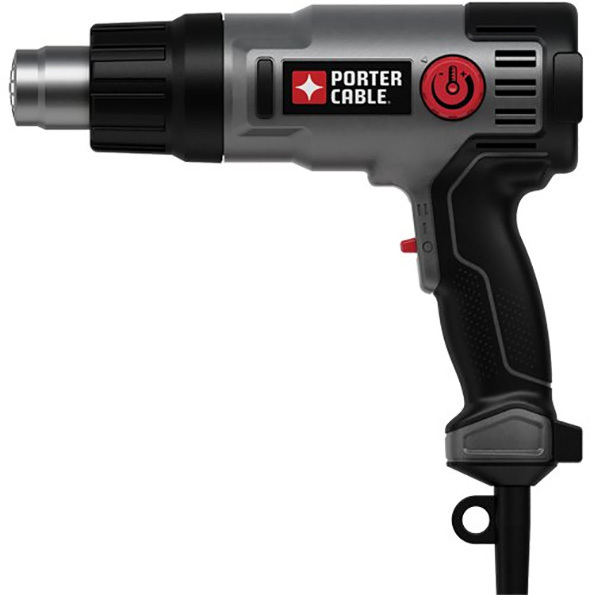 You get a cordless drill and impact driver kit, with the holiday season drill, a good impact, compact battery packs, and the regular 20V Max angle grinder. And in this kit, you get the same drill and impact driver kit, plus a premium reciprocating saw. 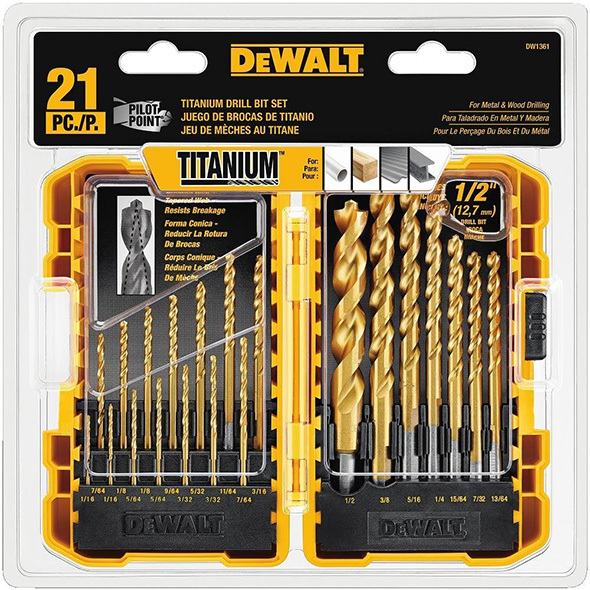 I’d be more excited about these deals if the drill were Dewalt’s latest DCD777 brushless drill. The DCD777 is a holiday season model too, but it’s better than the one in this kit in every single way. Wow. This is a very good deal. 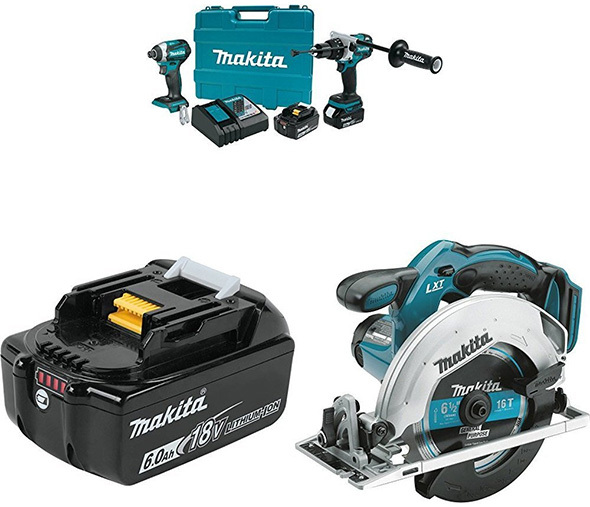 You get Makita’s latest 18V X2 rear-handle circular saw kit, plus (2) FREE 5.0Ah batteries. These battery packs sell in 2-packs for $159. I went through the whole spiel in another recent Makita deal post. Bottom-line, you get a lot for your money here. If you’ve been eyeing the new Makita framing saw, and can benefit from powering it with some fresh new battery packs, this is going to be the best deal out there. 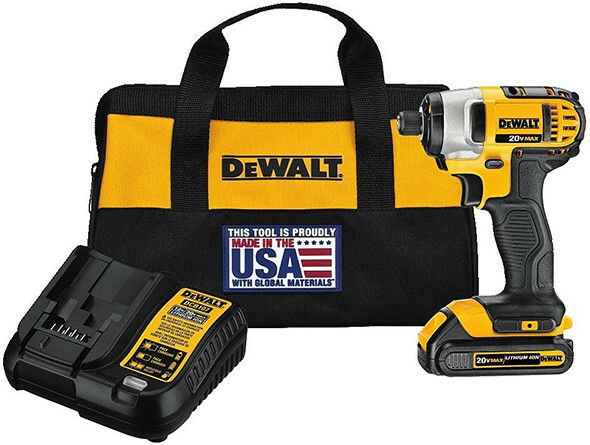 There’s also a great deal on this bundle, which features a brushless hammer drill, brushless 3-speed impact driver, circular saw, and 6.0Ah battery pack. Amazon says you save $188.23 off the price of the combo. I haven’t done the math, but I can tell you that this is a lot for $400. There are quite a few other Makita bundles. And as I previously posted, Amazon dropped certain kits to Black Friday pricing. 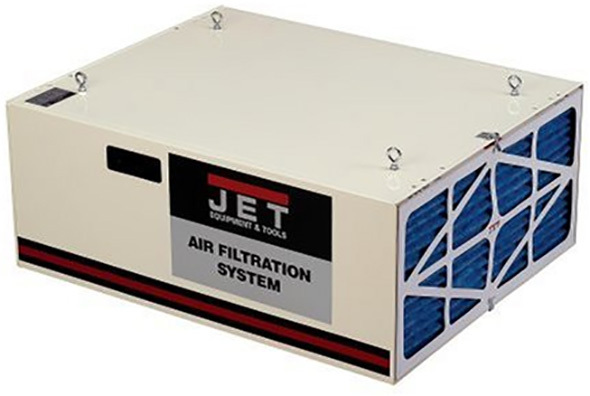 I bought this Jet air cleaner last year for around the same price. It was a good deal then, and a good deal now. Update: The price dropped to $278 – a fantastic deal! 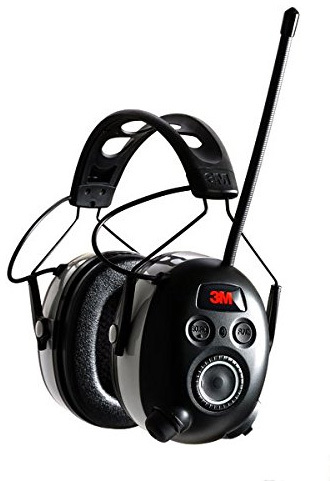 This 3M Worktunes wireless hearing protector features Bluetooth connectivity, as well as an AM/FM digital radio. I don’t know if this is a good deal, a great one, or just so-so, but it certainly seems like a good gift idea. « Hot Deal: Dewalt 12″ Miter Saw w/ LED Shadow Lighting – Save $111! Plus a Bonus Blade! Thanks Stuart and Happy Thanksgiving! Just ordered the Irwin plier set ($8 a piece is a bargain compared to Europe) and the Dewalt 791 to replace my aging brushed compact. I may have to bring a second duffel with me for my trip to Florida in a fortnight! 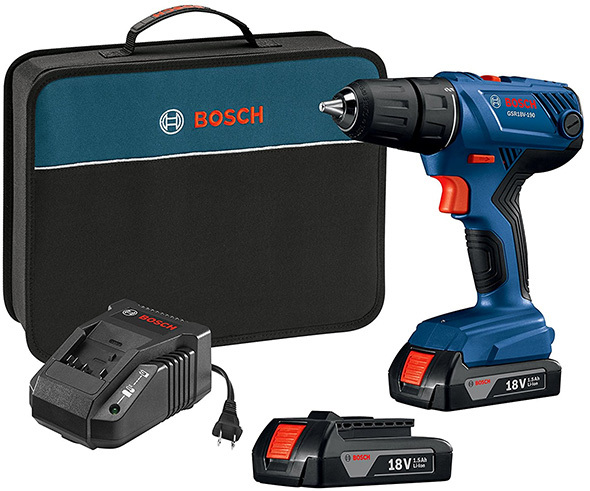 Pretty strange combo, and deal only lasts for a day, but its a very good deal since it includes the DCF887 impact driver. See my discussion on that deal here: https://toolguyd.com/dewalt-thanksgiving-tool-deals-2017/ . The Lowe’s model doesn’t have AM/FM like the Amazon model. I have been looking at getting some Earmuffs and the Amazon price is pretty decent. I haven’t pulled the trigger yet as I really can’t find the right set. I would love a good Bluetooth with AM/FM. However, I can’t find a reasonable and quality Bluetooth model that has a microphone to answer calls. Reviews for most of the AM/FM models complain about reception issues. UGH! Oooh, I did not realize that these did not include radio. Sorry. I have some manual am/fm off brand ones, have looked at 3M ones in the past and spotted these in the flyer. My manual radio is spotty, and I have been listening to online radio using earbuds under earmuffs which is uncomfortable, so I figured bluetooth all in one would be great. Ordered a pair. I will probably like it without the antenna. I picked up the smaller Dremel 4000 combo set for 35 on Facebook market place. The older lady had used it twice. Most of the attachments were still in their sales packaging. Haven’t had a chance to use the darn thing yet! The Makita XSR01PT is the same price at ToolUp – but you need to use their coupon code MAKBAT2 to get the 2 extra batteries. That locks out the other promo code for $25 off. It looks like the corrected that “double promo” deal that I posted about earlier. Have you reviewed the DeWalt vacuum? I had a similar one on the old 18 V system and was woefully unimpressed. But I do like the idea of a cordless vacuum. Yes, and it has worked out well for me. There’s not much for it to leave me wanting. Cordless vacs are compromised tools, they have to balance usable power with usable runtime. 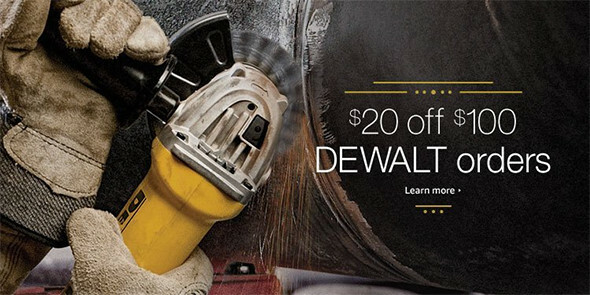 Has anyone noticed that the Dewalt $25 off a $100 purchase on Amazon does not seem to apply to all Dewalt tools? It worked when I purchased the 60V Max DCS575B circular saw but no such luck when I tried the same on the FlexVolt 2pk batteries, DCB206-2. Both items are sold and shipped by Amazon so I’m not sure why it doesn’t work on the batteries. Certain tools are price-fixed at set retail or deal pricing. It happens every year, with most brands’ money-off promos. In addition to the Dewalt miter saw mentioned in its own post I picked up the Jet ambient air cleaner for $278. Thanks! I intended to spend no money today until I visited this site. BTW. Homedepot is running a pretty good deal on Dewalt cordless nailer, DCN692. You can get a kit and extra battery for $349. This nailer is rarely seen to be on sale.